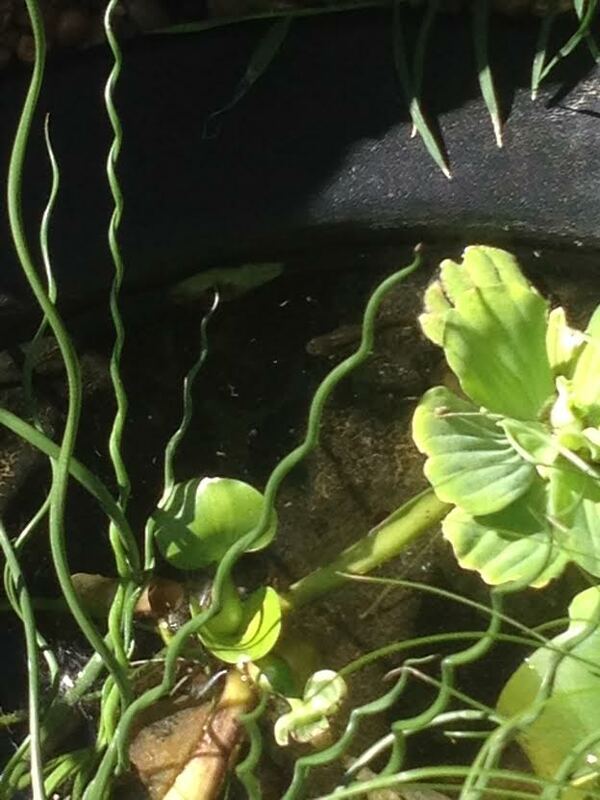 Another picture of the pond! 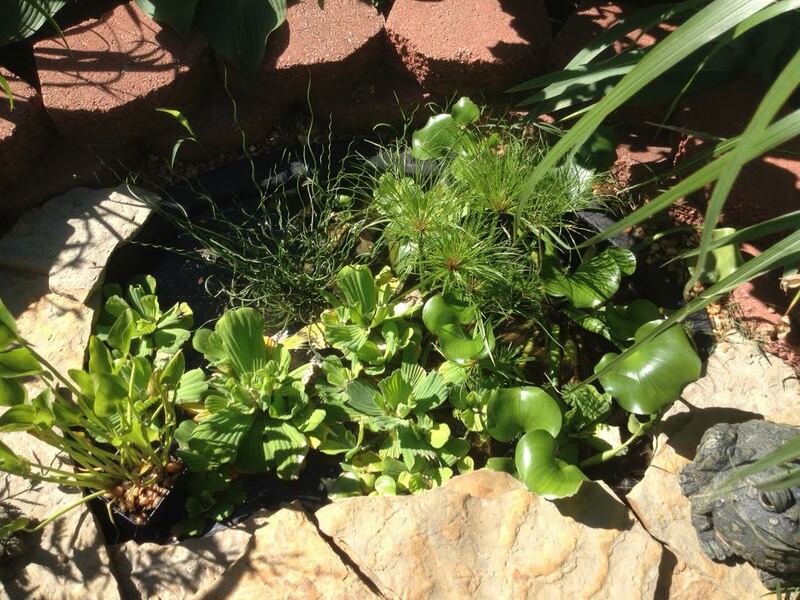 The water plants are doing great. I’m really happy with the way the pond turned out though I wish it were bigger. With a little patience, you can catch a glimpse of one of the mosquito fish on occasion so they seem to be doing well too. Here’s a pic below of one of the fish up near the surface. Look close! If you can’t see him, don’t worry. I’ve posted the pic again below with the fish circled. They aren’t much to look at like goldfish, but it’s nice at least knowing they are in there.